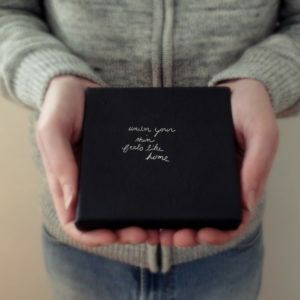 A sweet, romantic gift for the one you love! 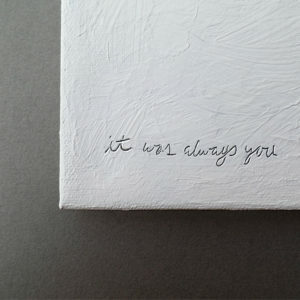 Want to say “I love you” without words? 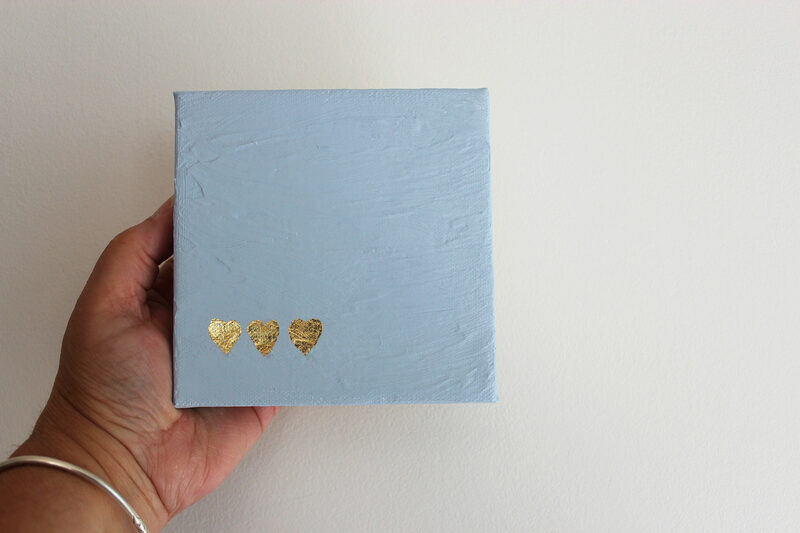 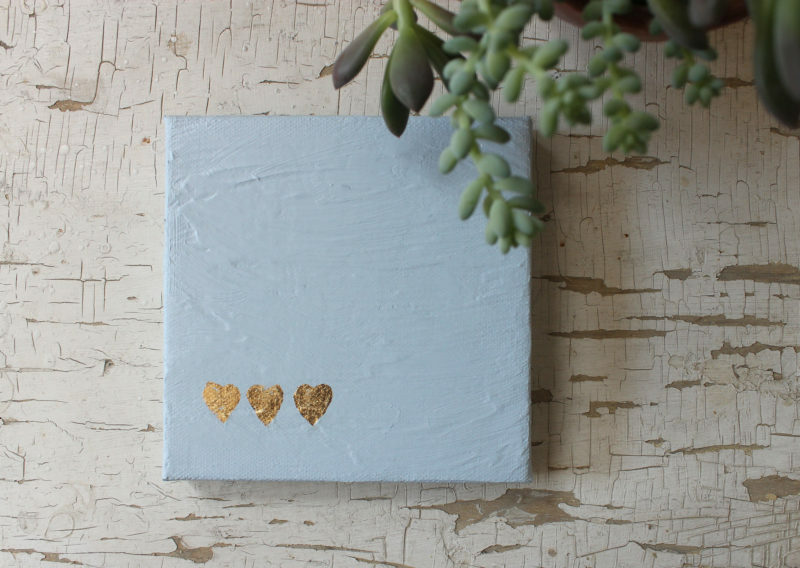 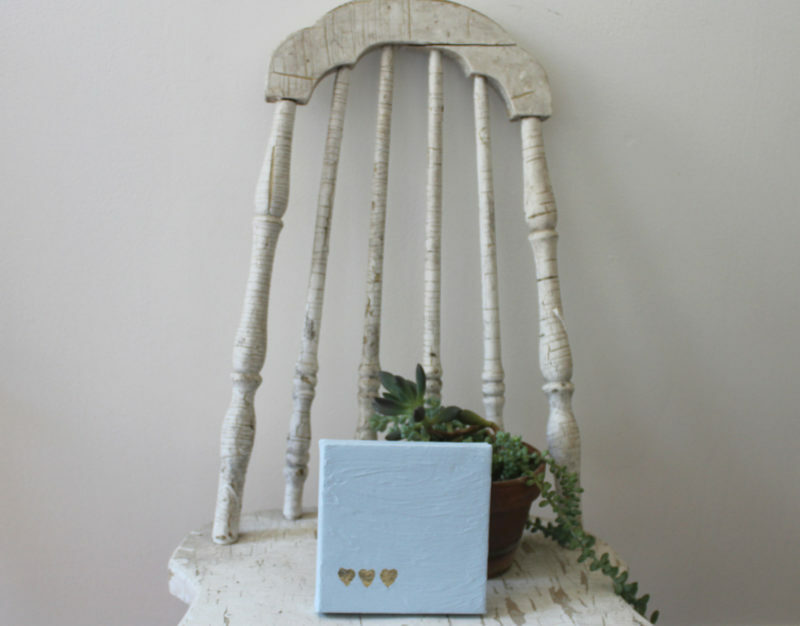 This small, intimate painting with 3 little hearts can do it for you! 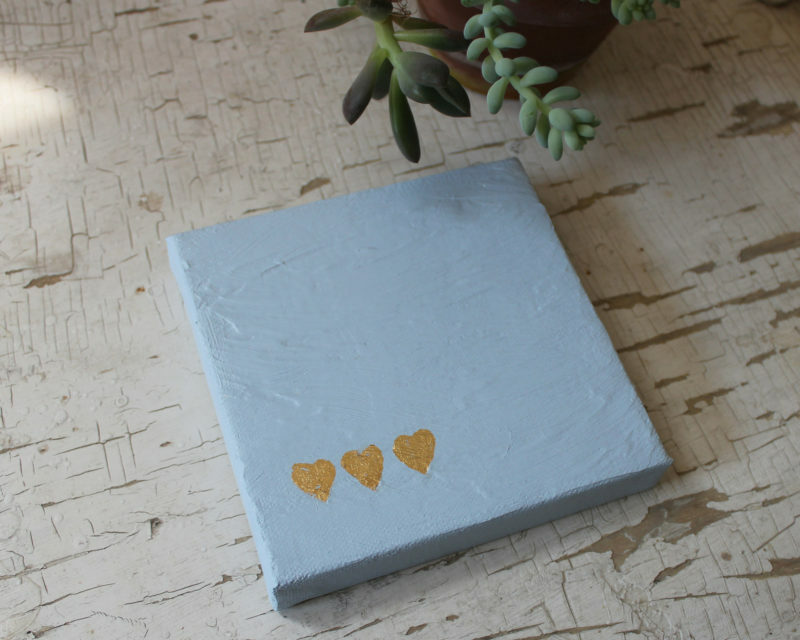 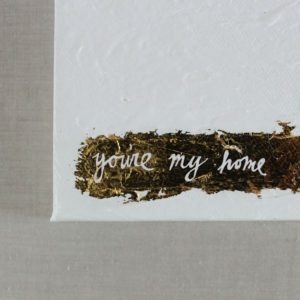 This small minimalist painting is layered with paint for a subtly textured surface. Three rustic hearts in gold leaf lay across the bottom left corner. 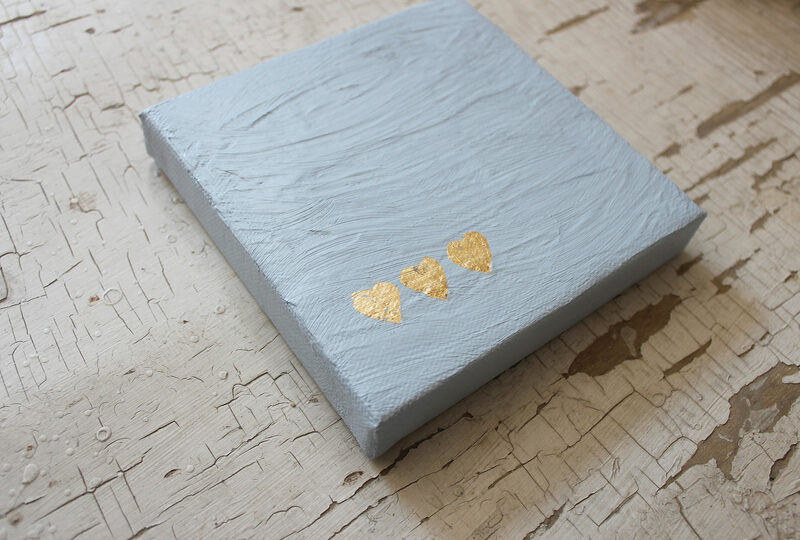 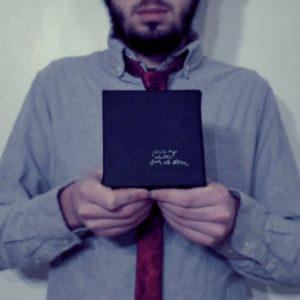 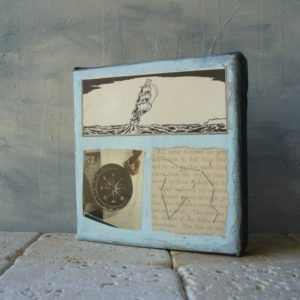 The color is a specially mixed light blue gray, making this a perfect love note for him or her. 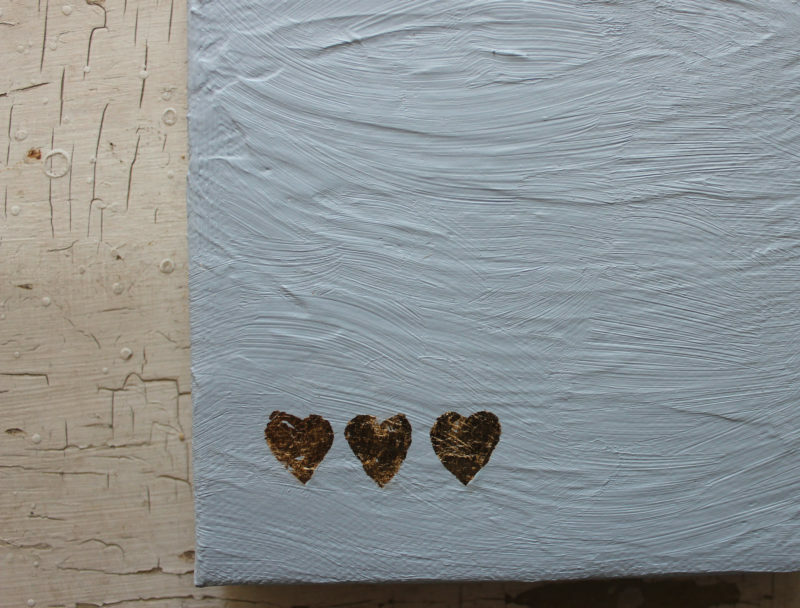 The painting’s small size and imperfect hearts will draw you in for a closer look. 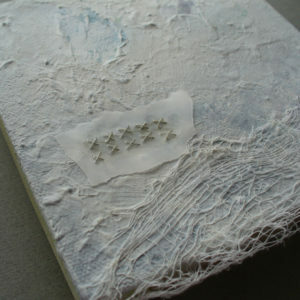 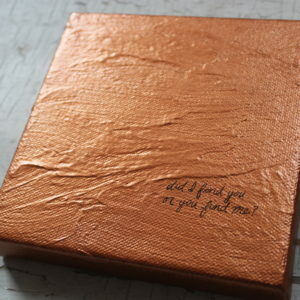 As each one is handmade, yours will look similar to the photos but with its own original texture. 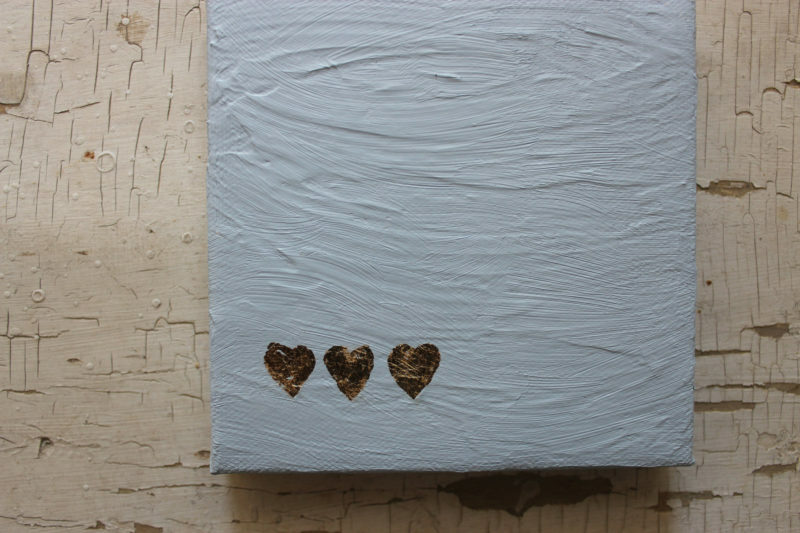 The placement of the hearts will be similar but will have their own unique quality. This would make a unique wedding or anniversary gift! 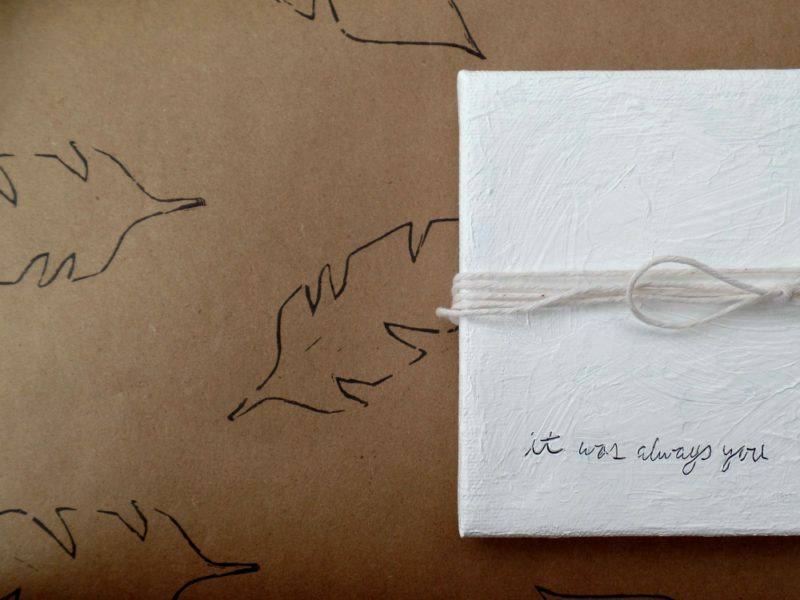 Comes gift wrapped in kraft paper that has been hand printed with an image of a feather as shown in the last photo. 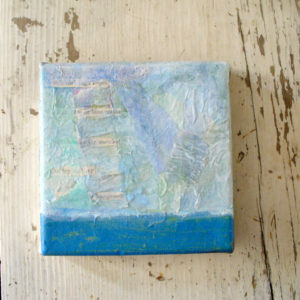 It will be packaged carefully and shipped priority mail.